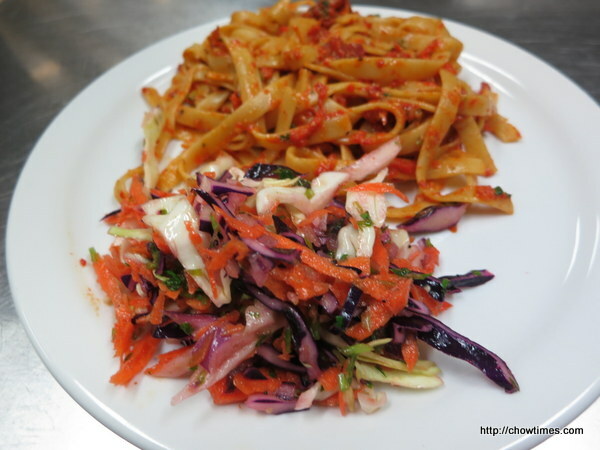 I returned to the South Arm Community Kitchen after a long break. As usual, we whipped up three recipes for this meeting. 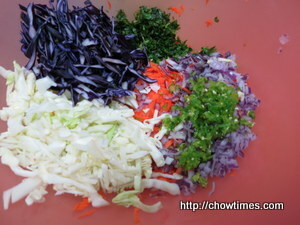 The first recipe is a Carrot Cumin Slaw. 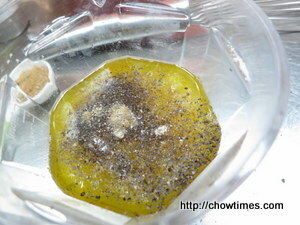 It is crunchy with a refreshing dressing with a spicy kick. 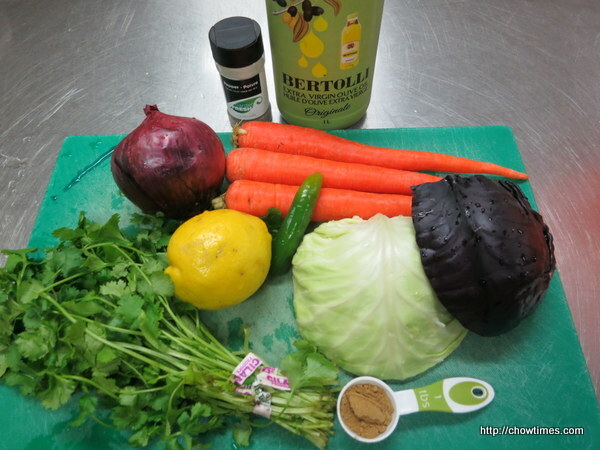 In a large bowl, combine cabbage, carrots, cilantro and jalapeno. 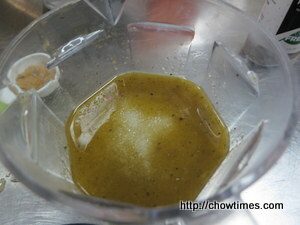 In a small bowl, combine olive oil, lemon or lime juice, cumin, salt and pepper. Stir to combine. Add a large pinch of sugar to cut back the sourness from the lime or lemon juice. Stir again. 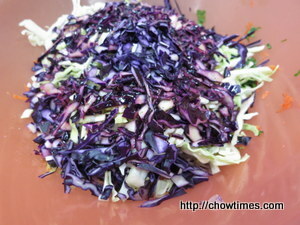 Drizzle dressing on the salad. Toss to combine. Serve immediately, or refrigerate in an airtight container for up to 4 hours to allow flavors to develop.